SheRose Awards was a huge success! I am so thankful for all who decided to support me in helping survivors be honored for sharing their stories for the first time. This was truly a memorable evening of purple roses, hands being held and hearts being released from past pain. I am grateful to Christian Hixon, Triumphant CEO and my stylist, for finding this fabulous gown for me! The gown, designed by Haus of Falenci’ago, was a crowd hit and a purple dream! I felt regal, royal and like a rose. Thank you for making me feel magical on this special evening! I will look to learn more about the SheRose Awards. That dress is amazing, “all things purple are divine”!! This purple gown is beautiful. Sounds like and amazing awards ceremony. Gorgeous!!!! The tree picture is just stunning! What an evening you must have had. I really loved the gown. It is gorgeous! Fabulous!! Purple is my favorite color and you were rocking that dress well. The gown is absolutely stunning and fit you like s glove. Glad to hear your event was a success. Ummm…YASS! You look completely gorgeous and congratulations on a successful event! Lol, thanks queen! 👑 I’m already gearing up for next year! That dress is gorgeous! Loving your whole look and the fall foliage. Very beautiful gown. I love the regal color. Congratulations on a spectacular event. You look beautiful. Sounds like a wonderful affair! BEAUTIFUL dress!! You look pretty. Love the shade of purple. This dress is gorgeous, definitely pagaent worthy. Purple is one of my favorite colors! This sounds like it was an awesome event. What a gorgeous gown. You look beautiful. 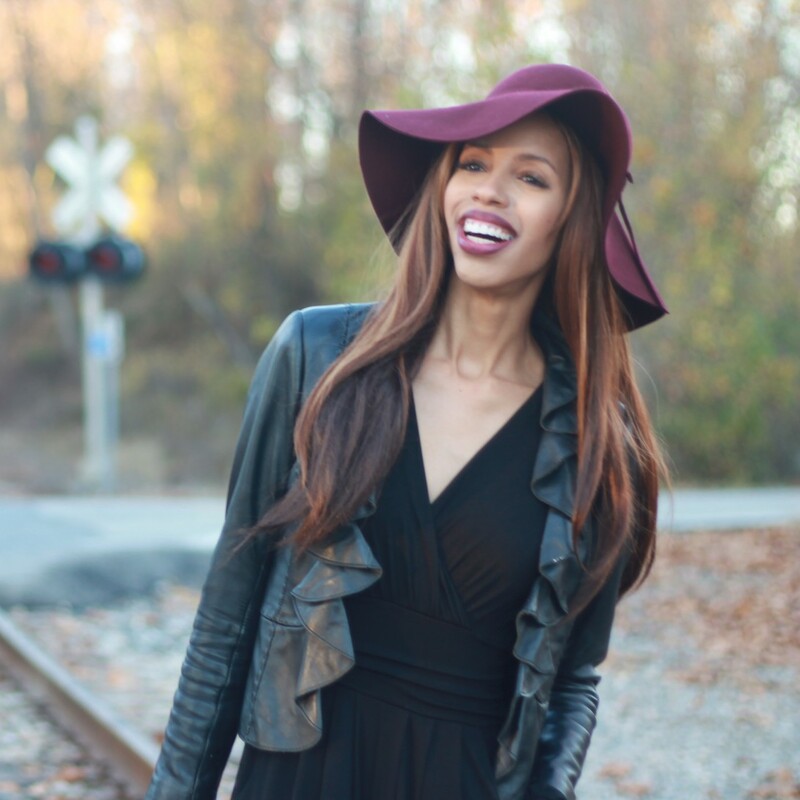 This entry was posted on October 28, 2015 by LaQuisha Hall in All Dressed Up, Brand Ambassador, Cocktail | Formal Wear, Dresses, Fabulously Fierce, Francesca's, Modeling, Natural Hair Flair, OOTD and tagged fashion, hair, natural hair, style.